Thu, April 5, 2018 7:30 P.M. 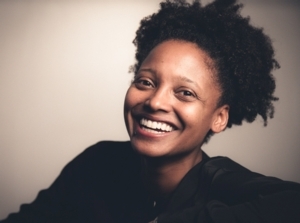 The United States Poet Laureate, Tracy K. Smith is the author of the Pulitzer Prize-winning Life on Mars, a “strange and beautiful” book of verse that “pulses with America’s adolescent crush on the impossible, on what waits beyond the edge of the universe” (New York Times). Her other work includes the celebrated poetry collections Duende, winner of the James Laughlin Award; The Body’s Question, winner of the Cave Canem Poetry Prize; and the memoir Ordinary Light, a finalist for the National Book Award. A professor of creative writing at Princeton and contributor to myriad anthologies and periodicals, Smith earned a fellowship with the Academy of American Poets. Her latest collection ties the truths of America’s present to its fraught founding history.